Order online! - When you place an order through our website you will find it safe, easy, and fast. You can make changes and review what you have entered nearly every step of the way. Available 24 hours a day. Call us! - Our sales and service team is ready to place your order over the phone. You can reach us at (562) 746-2001, Mon- Sat: 9am-7pm, and Sun 9am-4pm PST. Visit our Showroom! - Our showroom is located at 5912 S Broadway, Los Angeles, CA 90003. Almost all of our merchandise can be seen at our showroom location. 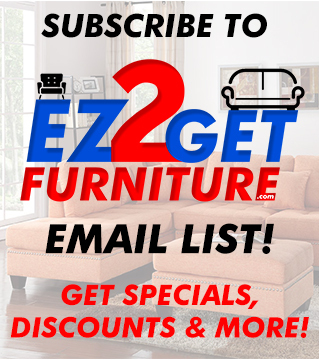 Just ask for the online sales team and have you furniture needs and questions addressed immediately. Visit us to try before you buy! Credit Cards - American Express, Discover, MasterCard and Visa. Cash - Accepted in store. Cash on delivery is available. Financing- 0% interest financing is offered through Synchrony Financing visit a showroom to apply. After your order is completed, you will automatically be sent an "Order Confirmation" email to the email address you entered during checkout. This email is your receipt - so don't delete it! We encourage you to review the order and advise us of any spelling or numerical mistakes so that we can quickly make any necessary changes. If you do not receive an "Order Confirmation" email from us immediately after placing your order, please call us at 562 746-2001 "Pick Up" order confirmations will be sent informing you of when your merchandise will be ready for pick up along with the warehouse address and phone number. If making a lease purchase through Progressive Leasing, please be aware that they will handle charging the tax rate on your purchase. May I combine promotional offers? A single promotion may be used per purchase. Promotion may not be used on prior purchases. 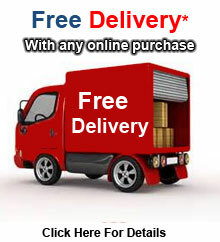 Promotions include Groupon vouchers, website discount codes, in-store coupons, free delivery, and 0% interest financing. Attempted manipulation of this policy will result in cancellation of sale and invalidation of all offers. Special Orders such as? Online Items Only? may take 1-2 weeks to arrive. Any cancellations or modification of these items after the date of purchase will be subject to a 25% restocking fee. Once merchandise is delivered, standard return policy is applicable. Defective merchandise that is clean and without signs of abuse may be exchanged within 90 days of receipt for the identical product. Transportation of the merchandise is the customers responsibility. Where is your warehouse/Showroom and what are the hours? Yes, and it must be a current offer by a legitimate company. We need to be able to buy the deal - should we so desire. The burden of proof lies with the customer. We will not call to verify. Verbal quotations are not valid. Price match must include competitor's shipping charge if you choose to opt for delivery. We will compare subtotal + delivery in this case. Can I ship to an address other than my billing address? Yes, but the correct billing name, address, and phone number must be verified before your order will ship.